So you want to create an invoice. Simple, right? Not so much. 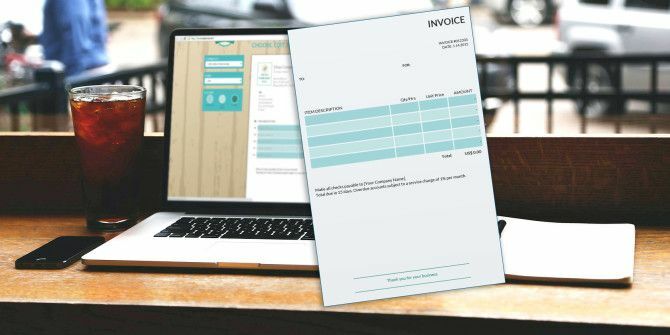 If you are a freelancer, you may already know how difficult it can be to find decent, let alone customizable, invoice templates 10 Simple Invoice Templates Every Freelancer Should Use 10 Simple Invoice Templates Every Freelancer Should Use Invoices can be a nuisance, but they don't have to be. Here are some of the best invoice templates you can download. Read More on the web. Aside from searching and sifting through copious amounts of results on Google for a free invoice website, you have to try many of them out, only to find most of them are free trials, like the one that Freshbooks tricked me with. Available as a web template. In addition, all websites featured in this article allow all text fields to be edited, including titles (except Paydirt), and have options for printing and/or downloading the PDF. 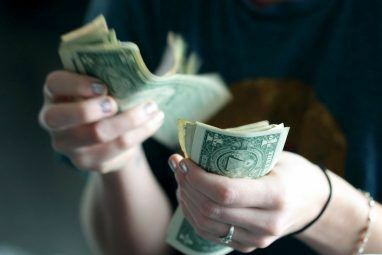 There are some great free invoice managers on the web, such as Invoiceable, an ideal invoicing solution for small businesses Meet Invoiceable: A Free Invoicing Solution For Small Businesses Meet Invoiceable: A Free Invoicing Solution For Small Businesses It doesn't get cheaper than free. There are some excellent free invoicing tools out there that your small business can benefit from. Invoiceable is one of them. Read More . However, the keyword in this article is quick. You don’t want to hassle with inputting information, verifying your account and email, etc. You just want to create an invoice, which is what these 4 highly-recommended websites let you do perfectly. 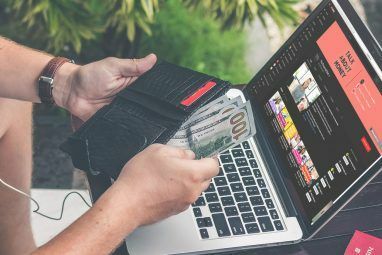 In this article, we’ll go over a comprehensive, but brief overview of each website, rating it and its invoice, on professional look, ease of use, features, data saving, and user interface. The Invoiced Lite template has everything you need and would expect, including adjustable currency and tax rates. I really liked the ability to incorporate shipping costs and apply discounts to the order too – something I couldn’t find anywhere else. Invoiced Lite supports uploading your company logo – a huge bonus to professionalism. In addition, the “To” and “From” text fields are large boxes, allowing you to copy and paste the company and client’s info, instead of filling out each line individually. You can save the template and automatically create a new invoice with the click of a button. Saving the template allows you to keep your info and logo in the next invoice. The ability to email the invoice without registering or creating an account is also a huge plus. When you click the “Download” or “Send Invoice” buttons, the Invoice is saved in your browser’s local storage (cache) Everything You Need to Know About the Browser Cache [MakeUseOf Explains] Everything You Need to Know About the Browser Cache [MakeUseOf Explains] Whenever you have an issue with a website, one of the first suggestions you will hear from IT support is "try to clear your browser cache" along with "and delete your cookies". So what is... Read More . Saved invoices can be accessed by clicking “My Invoices” in the top black bar next to the “Invoiced Lite” logo. This is a great feature should you ever have to make a change to the invoice before or after sending it to the client. Invoiced Lite lacks a text field to address the client with a note prior to them reading the invoice. It would also be nice to have a dedicated “Print” button. Lastly, having to click “Download” or “Send Invoice” adds an unneeded step to the saving process. An autosave feature or even a “Save” button, would make the process more fluid. In regards to Invoiced’s customer service, I had a very good experience when letting them know that the “invoice saving” feature wasn’t working. They fixed it very quickly and informed me of the change. They were also interested in my feedback as to how they could improve the user experience. If you want to spruce up your invoice with a logo, custom font and colors, Invoice At Once is what you need. And don’t worry if you accidentally close the tab – the same invoice will be waiting for you when you come back. A dedicated “Clear Template” button wipes everything clean, including your company information (unfortunately). 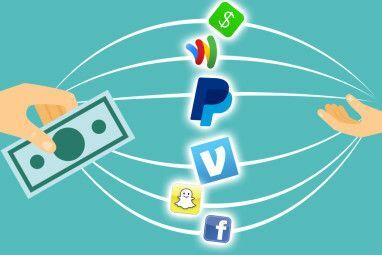 You can change the currency, upload a logo and even email the invoice on the same page. Invoice At Once lacks a few features that I prefer: a text field before the invoice to address the client, a print button, and company and client information fields that are copy and paste friendly, i.e. not individual boxes for each unit of information (e.g. name, address, phone). Billable is a streamlined invoice-creating website and its lack of features is almost a feature in itself. Where some websites in this article have a creative design and a lot of features, Billable maintains a clean, simple interface, without lacking any of the necessary functions such as large text boxes for copy and paste ease, and dedicated Print, Download and Save buttons. Yes, even this feature-sparse website has the ability to save the latest invoice in your browser’s cache. The text boxes for your and your client’s information are also easy to paste into without repetitive tabbing and typing of each line. Invoiceto.me is another basic invoice creator, with very few, but useful features. It autosaves to your browser’s local storage, so if you close the tab or browser while you’re in the middle of creating the invoice, you don’t lose everything. The “letter-to-client” text box above the invoice entries is where you can write a quick note to the client. Text boxes below the invoice entries are useful for payment terms and any additional notes. The company and client information text boxes, however, require line-by-line text entry, preventing you from quickly copy and pasting the information. I didn’t want to withhold these three options just because my personal tastes and preferences didn’t line up. Overall, these are still excellent websites. They just didn’t stack up in comparison to the previous four mentioned. Which Invoice Is For You? We all have our own personal preferences. In my experience using these different invoice websites, I am partial to Invoiced Lite. For a free tool, it had an impressive amount of features. And when dealing with the customer service on an issue, they were very prompt to respond and fix it. It’s what I would recommend to a freelancer or small business owner How Apps Can Help Any Freelancer or Small Business Owner Be Productive How Apps Can Help Any Freelancer or Small Business Owner Be Productive There are so many app for Android and iOS that can improve your productivity as a freelancer or small business owner; let's find the best of them. Read More . If you’re the creative type, you’ll like Invoice At Once. From the interface to the ability to customize the invoice itself, it’s a winner. Sometimes too many features we don’t need can only make us dislike a website or service. This is why I feel Billable and Invoiceto.me are excellent options. They are very capable, while keeping a clean and simple interface. As I shared in the introduction, there are tons of invoice websites out there. Is there a website you use and recommend? Let’s hear about it! Thanks for the review, Aaron! We recently updated Invoiced Lite (https://invoice-generator.com) with autosave, a new invoice template, and a better invoice editor. Invoiced Lite is still free and unlimited with no signup required. @Aaron - thanks. I actually started using Wave after I saw the other comment about it. Pretty nice service and they allow you to accept credit cards (there is a small % charge). Otherwise, it's free if you go the non-credit card route. I have already sent an invoice and gotten paid using Wave, and I will use it again in the future. Very cool! Glad you found something that works for you. Thanks - this list may come in handy. It seems, though, like these all fail in one way or another. Is there a paid invoice creator that scores 100% for you? Like you, I used Freshbooks for the free trial, but I wouldn't want to pay to use the service when I can get it done in some fashion for free. Sorry I missed your comment! Are you looking to manage invoices too? Do you mind signing up for a service? There are also several free invoice services that you have to sign up for, such as Wave, which Jessica mentioned in the comment below. I'm currently working on a follow-up piece to this featuring free invoice creation and managing services. I'll let you know when it goes live if that is something you are more interested in. The ones mentioned here were strictly for creating invoices for free without signing up.